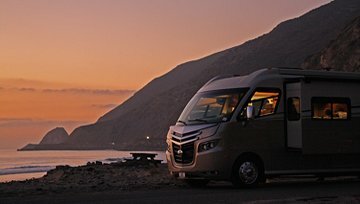 TireTraker™ TPMS, a division of RV Safety Accessories Inc., has long been the leader in Tire Pressure Monitoring Systems with it's unequaled customer service and 7 day per week technical support. 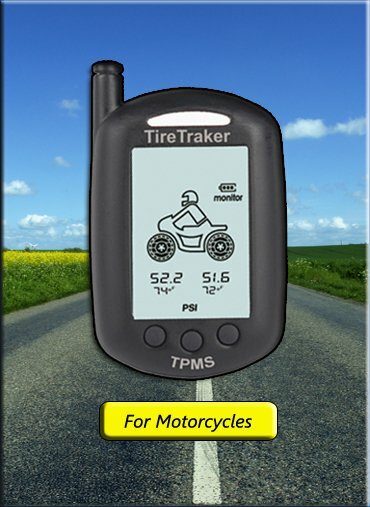 TireTraker™ TPMS offers systems for every aspect of the vehicle market, including RV's, Toads, Trailers, Trucks, Automobiles and Motorcycles. Our systems offer visual and audible alarms for low pressure, high pressure, and high temperature as well as rapid pressure loss. All TireTraker™ TPMS monitors are rechargeable with a battery life of up to 30 days on a single charge. Also, all of our Tire Sensors are interchangeable allowing the customer to switch options at any time. Tire Sensors have user replaceable batteries providing lower operating costs and weigh in at just 0.5 ounces, the smallest and lightest on the market. In 2015, TireTraker™ TPMS, launched the most innovative TPMS on the market today, the upgraded TireTraker™ TT-500. This system features a larger, easier to read display, continuous pressure and temperature monitoring, automatic update, automatic scrolling and the ability to monitor any tire from 0-232 psi. Our goal was to make the TireTraker™ TT-500 the most reliable and user friendly TPMS on the market today, and also offer an unprecedented "Lifetime Warranty". With this "Lifetime Warranty", as the only company in the industry to offer this on a TPMS, TireTraker™ and the TT-500 are seeking to change the landscape of Tire Pressure Monitoring Systems. We back that up with over 14 years of market experience. 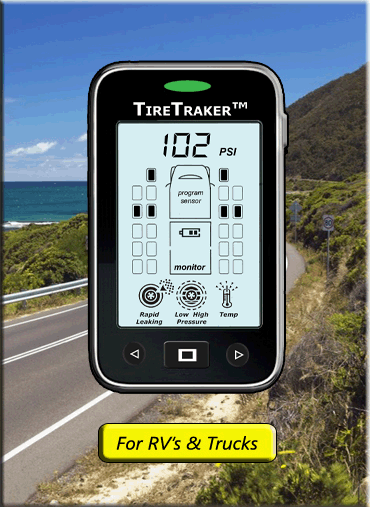 The TireTraker™ systems are capable of monitoring real-time tire pressures and temperatures. The Monitor displays each tire's pressure and temperature per tire position and will display an audible and visual alert if tire pressure or temperature changes. With this information, the driver may have the opportunity to make any necessary adjustments before a serious problem occurs. The number one cause of early tire failure is low pressure and the TireTraker™ systems can provide the driver in advance of possible problems and also assist in maintaining proper pressures in all vehicle tires. Although the driver can check for proper pressures while the vehicle is parked, only the TireTraker™ systems can check for proper pressures while the vehicle is travelling, when most tire problems occur. TireTraker™ systems include wireless Tire Sensors, which simply replace your valve cap on each tire stem, a Monitor (excluding the TT-3000), a 12 Volt USB Power Cord for recharging the monitor, a Mounting Bracket, and Sensor Batteries and Locks. Each Sensor transmits a secure, wireless Radio Frequency signal to the Monitor and will deliver an alert if the tire pressure drops, the tire pressure increases or tire temperature increases. When used properly, the TireTraker™ systems can assist in maintaining proper pressurization in all vehicle tires, resulting in less tread wear and increased fuel mileage. Purchase one now for your RV, Toad, Truck, Trailer, Automobile or Motorcycle and travel safer and smarter. Extend the life of your sensors. Included in our Maintenance Package are 12 CR-1632 Batteries, 12 O-Rings, 12 Sensor Seals, 12 Sensor Caps and 1 pouch of Anti-Seize Compound. Buy as a package and save $9.00 over individual pricing. Sensor batteries will usually last about 1 year, maybe a little longer. Remember, as the battery ages, the voltage drops and you may begin losing signals. Purchase a 5-Pack below for just $10.00. in all of our business dealings. 866-200-9773 or by email at info@tiretraker.com.